With the introduction of SoftHotel, Sabre Hospitality Solutions is changing the game for hospitality providers. Felix Laboy, president and general manager of the company, led the acquisition of the cloud-based software so that the hospitality industry can focus on hospitality, not technology. What makes Sabre innovative in its industry? Laboy: Innovation is in our DNA. Sabre Hospitality Solutions is comprised primarily of two companies that were start-ups and pioneers in the hospitality industry. Synxis [launched in 1996] was the first web-enabled and software-as-a-services (SaaS) central-reservation system (CRS). E-site Marketing [launched in 1999] was one of the first Internet marketing companies to focus exclusively on the hospitality industry. We continue to add innovation in our everyday work to provide solutions for our customers that help them meet their business goals. In addition, we strengthen our innovation through acquisition. The most recent acquisition was the purchase of SoftHotel, one of the leaders in SaaS-based Property Management Systems for the hotel industry. Why were you chosen as president and GM of all five, merging companies? Laboy: I was chosen because of my hotel background and experience, as well as my entrepreneurial experience developing and growing businesses into successful companies. I’m a turnaround executive who either grows businesses or fixes companies that need help. Sabre PMS is a core, integrated component of a hospitality-management solution, where a hotel is able to manage their property management, customer relationship, revenue management, and central reservation functions all from one platform. By being web-based, Sabre PMS cuts costs for the hospitality industry by eliminating the need for an on-site server. With this enterprise system, hotels can have a single view of, and more easily manage bookings, marketing, revenue, inventory, channel allocations, and, most importantly, customers. The combination of all of these critical functions into a single, web-based platform will be transformational for the entire hotel industry. What were your ventures before Sabre? Laboy: I had been working in hotels and restaurants since I was 13 years old. I studied at the School of Hotel Administration at Cornell University and honed hospitality skills and expertise working for the Four Seasons Hotels and Resort, Westin Hotels and Resorts, and Ritz-Carlton Hotels and Resorts, followed by the Puerto Rico Convention Bureau, before cofounding E-site Marketing, which was acquired in 2007 by Sabre. Sabre, succinctly, is a way to streamline all things technological in the hospitality industry under one umbrella. Is it merely technological help, or does the business model also offer hands-on assistance? Laboy: Sabre Hospitality Solutions was built as a one-stop shop, so hotels can benefit from our expertise in marketing, distribution, and operations. Although it is a technology company, at the heart it provides the services and tools hotels need to build and retain their customers. Thus, hands-on service is provided via consulting services and high-touch customer service. Sabre’s client retention rate is 97 percent! What most sets it apart from other technology-solution providers within the hospitality industry? Laboy: The entrepreneurial spirit the business was built upon leads the industry with software solutions and expertise that is unmatched. Sabre Hospitality has the world’s largest CRS, with over 13,000 hotels using the state-of-the-art platform; more than 17,000 hotels overall use our products and solutions. After the company’s merger, what new projects have started at Sabre? Laboy: Sabre has made innovations in the mobile segment by building hotel websites and other mobile capabilities that can be used on any mobile platform. The acquisition of SoftHotel was a critically important part of the convergence project to bring distribution, operations, and marketing all into one industry-leading platform. What exciting advances are in store? Laboy: Building a team and developing plans with them that lead to tremendous overall growth is very gratifying and exciting. Sabre’s revenues continue to grow substantially, by doubling the employee base and leading in global markets. It’s astonishing that what has been accomplished in three short years has resulted in Sabre becoming one of the global industry leaders. 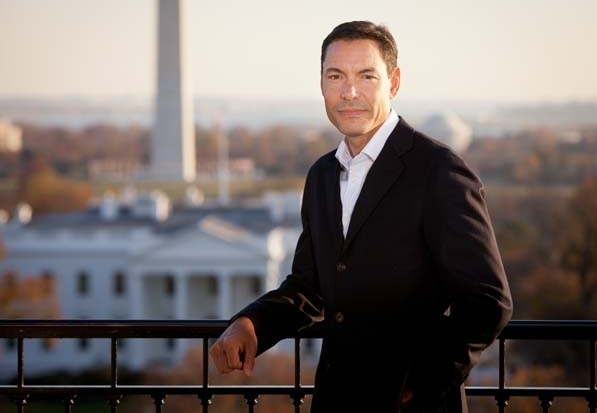 Update: Felix Laboy transitioned his responsibilities as President and General Manager of Sabre Hospitality Solutions to Alex Alt on May 1st, 2013.